Avocados originated in Mexico and grow on a tree where the fruit is harvested by hand. Avocados are high in fat and calories and we are often told to stay away from them because of this. A medium size avocado contains approximately 700 calories and up to 30 grams of fat. However, the benefits of avocados far outweigh the “risks”. Avocados contain monounsaturated fats which help to lower “bad” cholesterol and also aid in maintaining a healthy heart. Avocados are versatile and make a wonderful first food for baby! Babies need carbohydrates, and fats as well as proteins for their growth during the crucial first year and even into the second year. An avocado is smooth and creamy when mashed – a perfect food that will be more readily accepted as your baby begins solids. The avocado can be called the “fruit of life” because it is sodium and cholesterol-free and contains essential vitamins and minerals including folate, and potassium. Folate (the natural form of folic acid) is necessary for healthy fetal cell and tissue development. Pregnant women should look at having folic acid daily in order to protect the baby against neural tube birth defects like spina bifida. In addition, potassium aids muscle activity, nerve function and energy metabolism, which helps babies and children grow. A ripe, ready to eat avocado is slightly soft but should have no dark sunken spots or cracks. If the avocado has a slight neck, rather than being rounded on top, it was probably tree ripened and will have a better flavour. 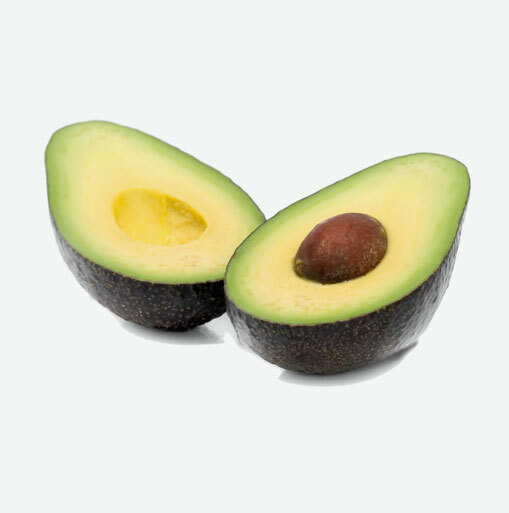 The Hass avocado weighs about 8 ounces on average and has a pebbled dark green or black skin, while the Fuerte avocado has smoother, brighter green skin. Avoid Fuertes with skin that is too light and bright. A firm avocado will ripen in a paper bag or in a fruit basket at room temperature within a few days. As the fruit ripens, the skin will turn darker. Avocados should not be refrigerated until they are ripe. Once ripe, they can be kept refrigerated for up to three days. When refrigerating avocados, it is best to keep them whole and not slice them in order to avoid browning that occurs when the flesh is exposed to air. Use chopped avocados as a garnish for black bean soup. Mix chopped avocados, onions, tomatoes, cilantro, lime juice and seasonings for a rich-tasting twist on traditional guacamole. Spread ripe avocados on bread as a healthy replacement for mayonnaise when making a sandwich. For a delicious, nutritious salad, combine sliced avocado with fennel, oranges and fresh mint.